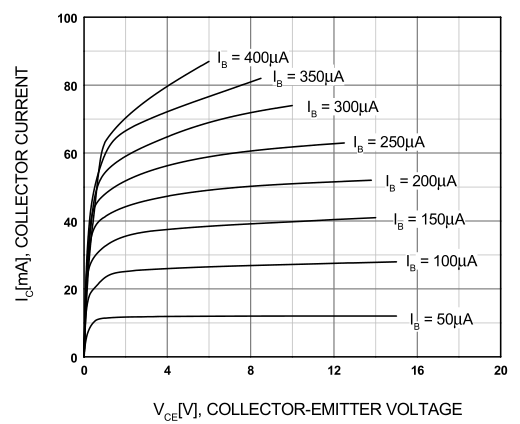 In case it is not really visible the voltage connected to the collector of Q3 is 3.3V. Debug signal is connected to the output pin of a microcontroller and change from 0 to 3.3V. A green Led is connected between J4-1 and J4-2. When Debug is high the green LED is supposed to turn ON and the RED LED off. When debug is low the red LED is supposed to be ON and the green OFF. when Debug is high, the base-emitter diode of Q3 become active and the current actually flows from the output of the microcontroller directly to the green LED through the base-emitter diode. On the other hand when Debug is low the emitter-base diode of Q4 is active and the currently flows directly to the pin of the microcontroller through the red LED. Then there is no amplification of the current at all. If it is really what's happening it only works because the LED current is smaller than the max output current of the microcontroller and this arrangement is actually not amplifying anything? What should be happening is when debug is high Q3 become saturated and current flows from the 3.3V to the green LED. When debug is low Q4 should be saturated and curent should flow directly to the GND. Am I right thinknig this is not what is happening? And if Q3 and Q4 actually get saturated, how does that circuit works because I don't get it. The two transistors are configured as emitter followers, which means that they have a very high current amplification. In other words, it is not possible for a base current to flow without a collector current. Furthermore, the base current is very small (the transistor limits it by itself), so it is not even necessary to have a base resistor. To me it seems the two transistor are inverted, the PNP should be at the top and the NPN at the bottom. You also need resistor on the base of the transistors. This is also why you see no amplification. You can just look at half of it. Not the answer you're looking for? Browse other questions tagged bjt push-pull or ask your own question. 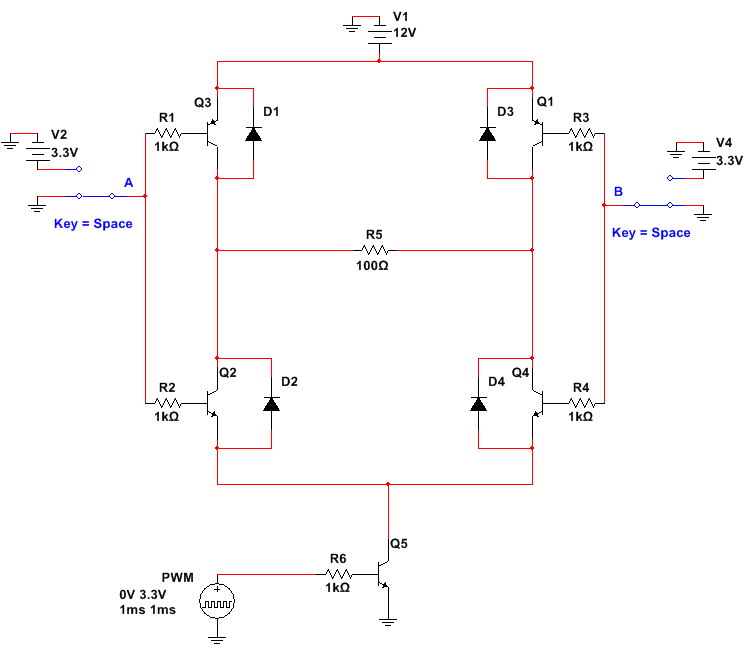 How do BJT transistors work in a saturated state? 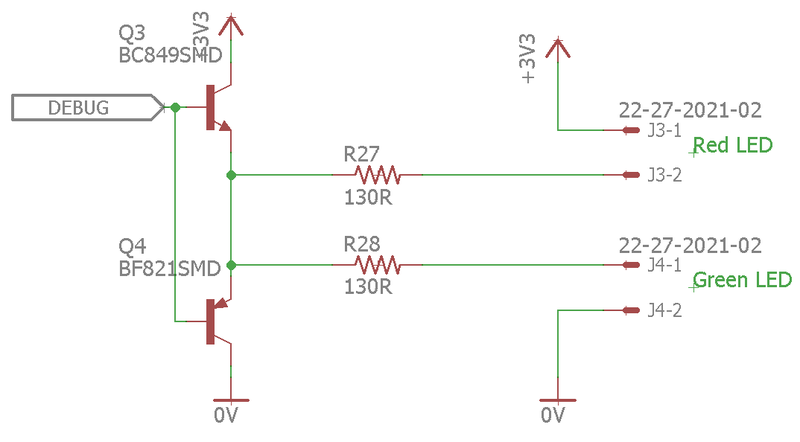 How to replace a green LED with a red one in a simple transistor switch? Transitor keeps base turned On even at zero volts in dual power supply system!